If you aren’t using video on your website to improve SEO—and visitor engagement—it’s time to get in the game. 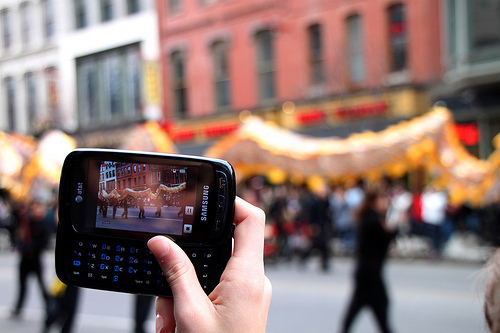 Video has become the primary means of accessing information on the Internet. Just think, how recently did you watch a video on your computer, tablet, or smartphone? A day, an hour, a few minutes? Currently, Internet users watch more than four billion hours of video on YouTube each month. A whopping 72 hours of video is uploaded every minute. According to YouTube’s head of global partnerships, Robert Kyncl, video will likely comprise 90 percent of all web traffic within three years. Video is already a powerful way to build a brand online, and it’s set to explode. And since YouTube is now the second most-used search engine, people aren’t only watching music videos, news reports, silly cats or movie trailers. They also want product reviews, tutorials, and how-to videos. Will your company be found through a YouTube search? How will your video brand be perceived? In addition to being the dominant vehicle for content online, video can improve your website’s search rankings. According to Dr. James McQuivey of Forrester Research, one minute of video is worth 1.8 million words. It’s estimated that websites with video content are fifty-three times more likely to land on the front page of Google search results than text-only sites. ComScore also showed that 90 percent of shoppers find videos extremely helpful when making a purchasing decision, and that 64 percent of customers are likely to purchase a product or service after watching a video. More statistics about the power of video on websites and social media. Perhaps more importantly, video will add value to your site, which is something Google considers when ranking your website. If people linger on your site, or link to it, Google figures your web content is relevant and will rank you higher. Video boosts marketing results and builds the brand. Of course, you’ll still need to optimize the video by writing appropriate keywords in the video’s title, description, metadata, and file name. Providing a transcription also helps Google know exactly what the video is about (along with helping audiences that may be hearing-impaired). Just a few of the ways video on your website builds your brand. Video is the most “real” medium we have for communication. It connects the way humans connect— combining sight, sound, movement and expression—and touches emotions more than print can. Video thrives on metaphor and symbolism. It can instantly humanize your website, displaying your company’s distinct personality, in addition to your products or services. And the longer people stay on your site, the more likely they are to turn from curious onlookers into sales leads and clients. 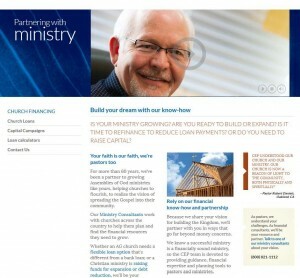 Our client, Church Extension Plan, added video to the website we redesigned for them. At the top level of each category of service—from loans to investments—they have a simple video of their people talking about the services. Because what they provide is ministry-focused (loans and investments support growing churches), video is an even more powerful way to build their brand and strengthen relationships. Video invites your target audience to leave comments and link your video to social media sites like Facebook and Twitter. While some people learn best by watching, others learn by listening.Video appeals to both. OK. You’re convinced you want some sort of video on your website, but what kind? Following are six different ways you can provide valuable video content on your website and position your brand to stand out from your competition. (Remember, video builds brands!) While you may decide to produce videos yourself, consider working with professionals who can ensure a quality product that puts your brand, literally, in the best light, and communicates your message with the best sound. These videos often use illustrations and voice-overs to describe a company’s product or service, like Rypple. Others like the World Food Program use info-graphics and text to vivid effect. Use a video to tell an emotional story of how your company faced a customer challenge, the process you followed, and the amazing solution that resulted. Here’s an example of corporate case study featuring Nike. Interview passionate, energetic customers about their general impression of your company or organization. Make sure the comments are positive, but unscripted. Let customers speak in their own words. Here is low-budget testimonial video for a company that makes medical scrubs. Help current and potential customers learn what button to push, which form to fill out, and what to do when the red light starts blinking. They’ll love you for it. Be sure to allow visitors to post comments, ask further questions, and offer suggestions for future videos. Watch a “how to” video from the online appliance part company PartSelect.com. Give online visitors a virtual tour of your company. What inspires your employees? How do they approach their work? What talent and experience do they bring? Building trust is crucial. Pull back the curtain a little and use video to help visitors feel like insiders. Watch a behind the scenes video from Zagg, which makes plastic coating for electronic devices. Offer video as a resource for people looking for vital information within your specific industry. Feature interviews with company leaders about important market trends and link videos to other social media sites, such as Twitter or Facebook. Incorporate videos into your daily or weekly blog to add personality. Watch how photo equipment supplier Adorama has embraced video to share photography tips with its audience. Whatever your industry, video on your website boosts marketing results and takes audience engagement to a new level. 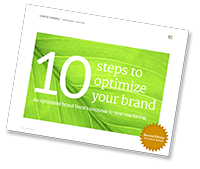 It will enhance your brand at those critical points of choice—where audiences choose to take action. Just because … here are more useful statistics about the power of video for your website and marketing! As with any marketing, it’s important you first establish a profile of the people you must reach to achieve success. Use our audience profile worksheet to define your best potential customer. I just read your blog and I loved it. Actually, I am also working for a video production company. I have 5 years of experience in video marketing. I want to add one more point to create animated storytelling video. Thanks for your feedback! Glad you liked it.